3-D mammography is a “step up” from “regular” 2-D mammography. And, it just takes a few more minutes. You receive a “regular” 2-D mammogram and then the machine moves in an arc over the breast and “slices” the breast image (kind of like an MRI) and gives a better image of the internal breast tissue. Since it provides a better image of the breast, it should decrease the number of call backs for additional views….and, in turn, reduce anxiety. Breast tomosynthesis is just another name for 3-D mammography. 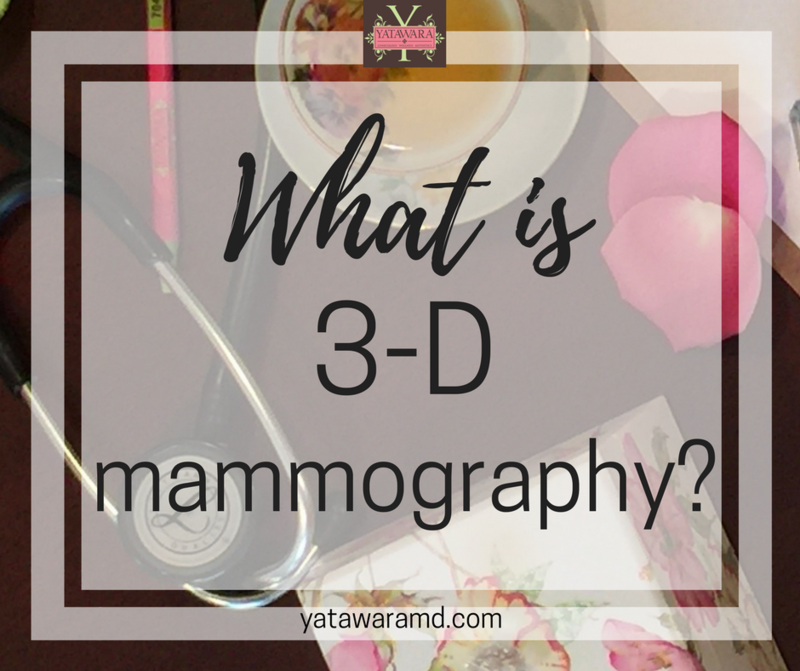 How do I get a 3-D mammogram? You may choose to have a 3-D mammogram when you arrive for your scheduled mammogram. In other words, it will NOT require an order from your doctor, (thank goodness). Yes, it will cost an additional $55 (that includes the imaging AND the professional fee) and it will be collected at the front desk prior to the mammogram. Should everybody get a 3-D mammogram? Every woman should consider 3-D mammography. But, women with dense breast tissue should REALLY consider getting a 3-D mammogram. Why? Because it provides a clearer picture and makes it easier to catch breast cancer early. AND, it reduces the chances of false positives.